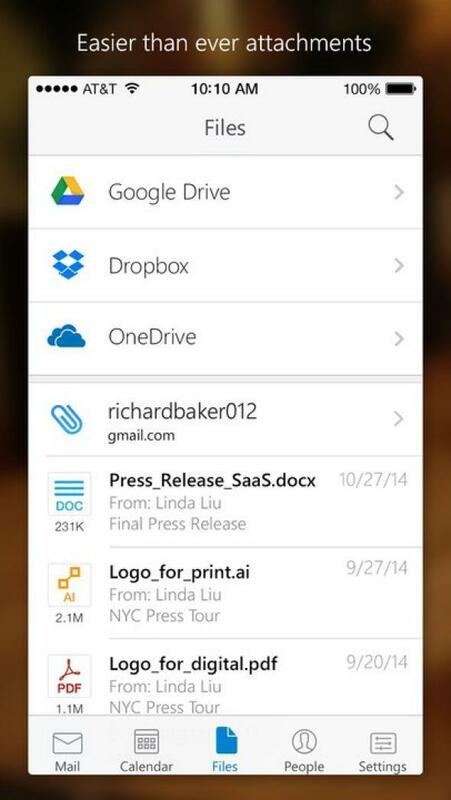 Microsoft Outlook: The tech company received positive reviews for its newly released email app. The Best App for Gmail Is Made by … Microsoft? The new Microsoft Outlook app is integrated with Google Drive, Dropbox, and OneDrive to let you search your for your files everywhere possible. 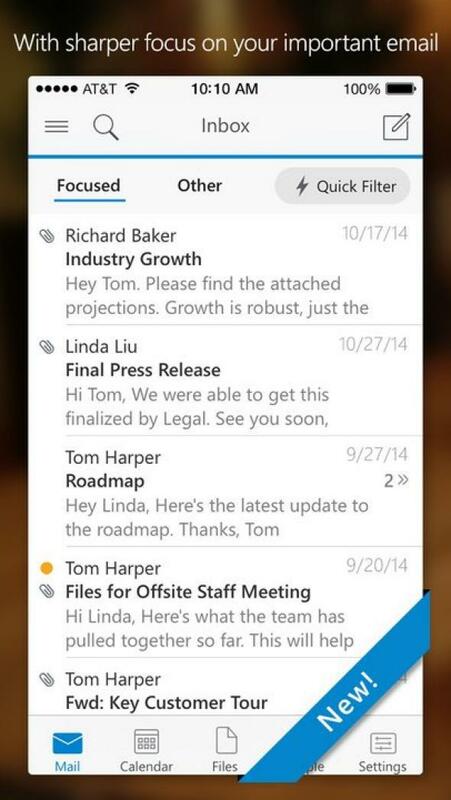 Microsoft just released its new Outlook email app for iPhone, and the first reviews are overwhelmingly positive. While we haven’t used Outlook long enough to give our own definitive answer, Outlook’s polished design and useful feature set makes it clear that Microsoft is angling for the top spot in the email app space. Outlook solves a lot of the annoying issues that currently exist with Gmail. You can now swipe to archive, delete, or “schedule” an email to return to your inbox at a later time when you’re less busy. Outlook is taking a few notes from competitor Mailbox here with the swipe gestures, but it’s a welcome addition that makes clearing out your inbox way easier. Gmail users are still stuck with tapping check marks and trash can icons. Outlook automatically filters your emails into a “Focused” feed, which is meant to contain your most important emails, and “Other,” which is for everything else. It’s not a bad idea, but we’re guessing most people will prefer to turn this option off, which you can easily do from the settings. There’s also a nifty little “Quick Filter” button that makes filtering for unread or flagged emails a breeze. You can also use Quick Filter to filter out all emails except those that have attachments. 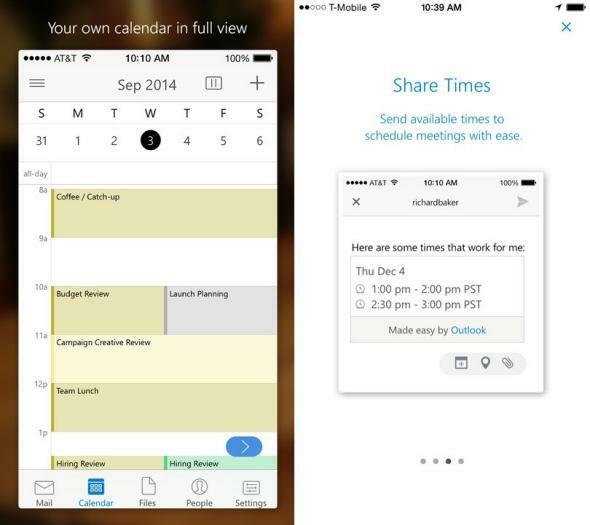 Scheduling meetings is also a lot easier with Outlook thanks to an integrated calendar within the app. Having a calendar built in means you can get reminders when an appointment is coming up, but the coolest thing is that Outlook can pull your availability directly from the calendar, making it easy to send along a few different time slots without hopping between apps. Another area that Microsoft doesn’t skimp on is file management. The toolbar at the bottom of Outlook has a “Files” tab that allows you to search all of your attachments, and there’s also integration with Google Drive, Dropbox, and OneDrive. If you’re running low on storage space, Outlook conveniently lets you send along an attached file even if you haven’t downloaded it to your phone. The last major tab on Outlook’s toolbar, “People,” is designed to make composing emails faster. You’re presented with a list of recent and frequent contacts, and there’s even a handy little compose button right next to their names. So should you get Outlook? That depends on the email app you’re currently using. 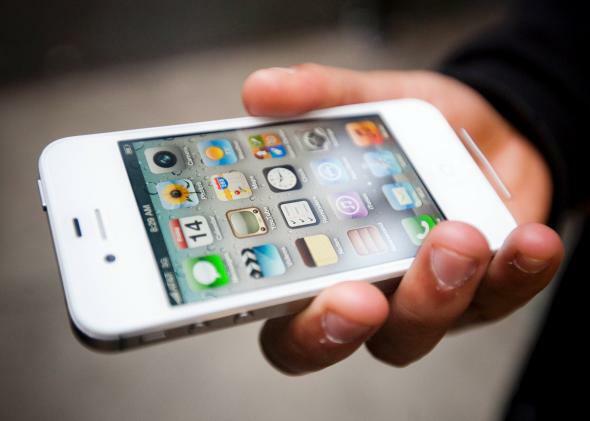 If you have an iPhone and are still using Gmail, yes, you should definitely switch. You don’t lose any functionality by switching to Outlook, and the addition of calendar integration and swipe gestures makes it a no-brainer. If you’re on Android, there are more options. The big question is how Outlook stacks up against modern competitors like Mailbox. If you’re chasing a completely clear inbox, Mailbox might still be your best bet, but the app’s simplifying nature means you’re going to lose out on some deeper functionality. Most importantly, Outlook is trying to perfect rather than reinvent email apps, and this means you’ll spend more time getting things done instead of learning a new system. Combine that with some of the new features, and most people will be more than happy with how Microsoft imagines modern email. 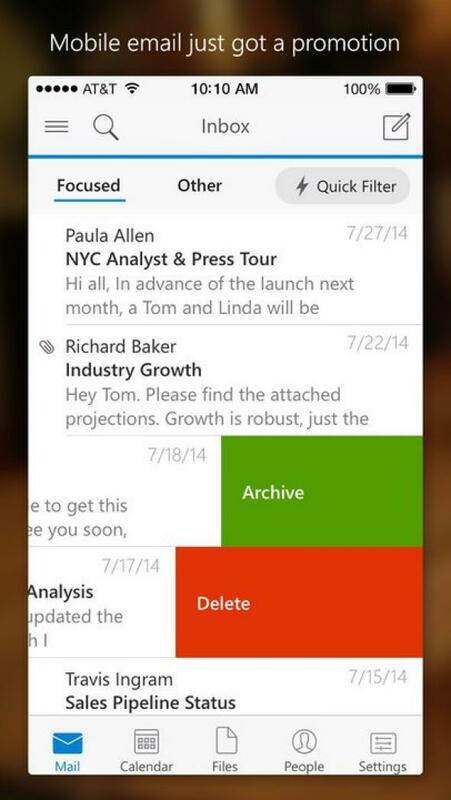 If you want to give it a try, you can download Outlook for iPhone and iPad right here.